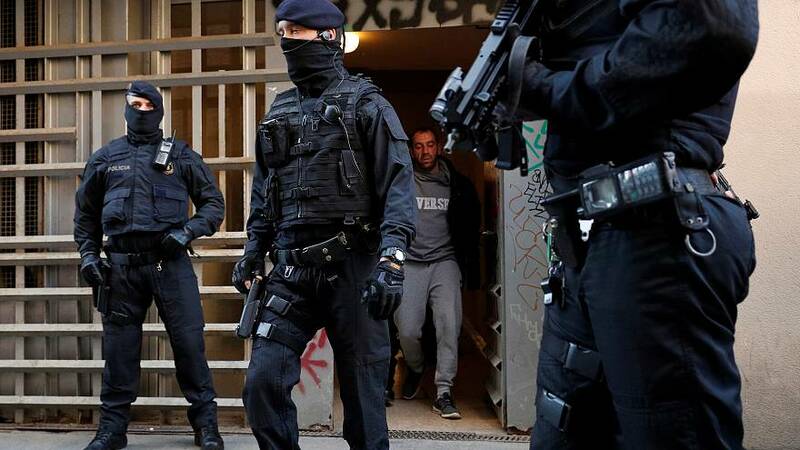 The Catalan regional police service, Mossos d’Esquadra, have arrested a least 17 people who they believe are linked to a jihadist cell based in and around Barcelona. The arrests, made during a raid, are part of a year-long counter-terrorism investigation called “Operation Alexandra”, which gathered information on terrorist activity in Barcelona and the town of Igualada, located 70 km away from the Catalan capital. More than 100 agents participated in the operation, which started on Tuesday morning. The investigation was started in 2017 when police were informed that a local jihadist cell was preparing an attack, reported EFE news agency. Police said on Twitter the suspects were arrested as part of an investigation into "crimes of terrorism, public health offences and organised crime." The operation was ordered by Spain's High Court, the government body in charge of terrorism investigations. In 2017, a van drove into pedestrians on Barcelona's main tourist street, Las Ramblas, which killed 14 people and injured over 130. The so-called Islamic State (IS) claimed responsibility for the attack.